And now they're about to become a special display before being restored. 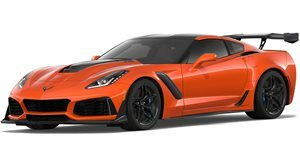 Last February, a giant sinkhole literally swallowed eight rare Chevrolet Corvettes from the National Corvette Museum in Bowling Green, Kentucky. The cars have since earned the nickname "Great 8," and will even be featured in an official display bearing that name. But only in the past few days has the final Corvette been rescued from that 60-foot deep sinkhole. A 2001 Mallet Hammer Z06 was the last car to be recovered. It was discovered upside down after its great fall. The museum also claims this Vette is the most heavily damaged of those that fell. The "Great 8" special display, will officially open to the public next week and will run through the end of August. 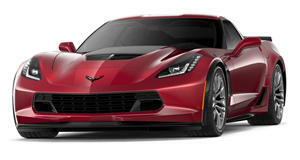 GM has already announced that it’ll fully repair and restore all of the damaged Vettes. And what about the sinkhole? Well, that’s another matter entirely. Our suggestion: secure the hole (if possible), fence it off and leave it open for visitors to see.